Does Zingle Offer New Printers? As we look to provide cutting-edge technology to our customers and work with them to accomplish their business goals, Zingle is focused on the future. Our development and resources are investing in Zingle as a software for desktop and mobile applications. While we are continuing to support all customers currently using our printer devices with repair and refurbishment, there will not be future generations of the Zingle printer. Does migrating to a software solution make sense for your business? For questions on how using Zingle's online dashboard could save time and money for you, contact our Customer Success Management team at successteam@zingleme.com. 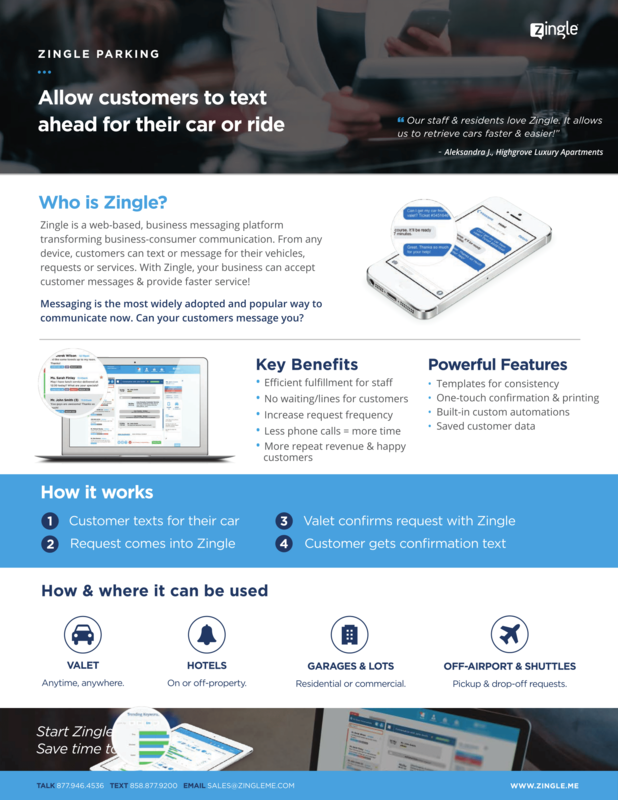 See below for a one-pager on the Zingle software solution in the parking industry.